Screenshot via CNNThe investigative journalist Carl Bernstein. President Donald Trump attacked the legendary Watergate reporter Carl Bernstein on Wednesday evening over a story Bernstein coauthored for CNN last month about the infamous 2016 Trump Tower meeting. The July 27 report cited unnamed sources as saying Trump’s former longtime lawyer Michael Cohen had asserted that Trump knew about the meeting before it happened. That meeting included senior Trump campaign officials and a Russian lawyer who had offered dirt on Hillary Clinton. Cohen’s attorney and spokesman, Lanny Davis, said this week that he was one of CNN’s sources for the July 27 story and was recanting the claim that Cohen would testify about whether Trump knew of the Trump Tower meeting in advance. Bernstein hit back at Trump on Twitter. 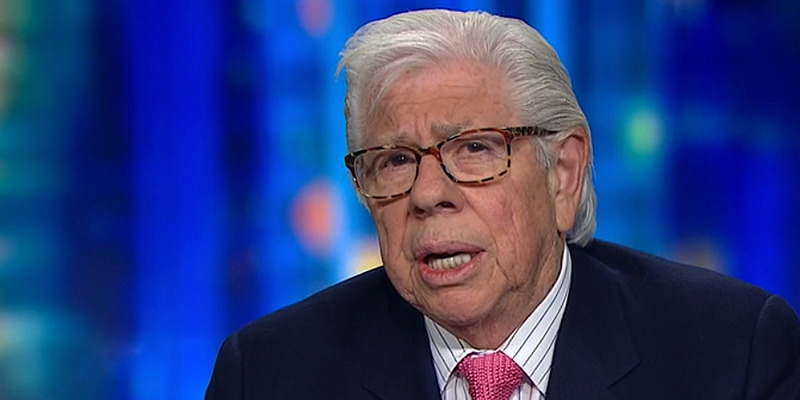 President Donald Trump attacked the legendary Watergate reporter Carl Bernstein on Wednesday evening over a story he coauthored for CNN last month about the infamous 2016 Trump Tower meeting. That June 2016 meeting included senior Trump campaign officials and a Russian lawyer who had offered dirt on Hillary Clinton. Trump’s camp has denied that Trump knew about the meeting beforehand. Cohen also did not mention whether Trump had prior knowledge of the 2016 meeting when he sat for interviews with US lawmakers as part of the Russia investigation. Cohen’s attorney and spokesman, Lanny Davis, said this week that he was one of CNN’s sources for the July 27 story and that he was recanting the claim that Cohen would testify about whether Trump knew of the Trump Tower meeting in advance. Davis’ claim that he was one of CNN’s sources contradicts CNN’s reporting, which said Davis had been reached by CNN but declined to comment. Alex Wong/Getty Images for Meet the PressBernstein and the former Washington Post reporter Bob Woodward on NBC’s ‘Meet the Press’ in 2005. 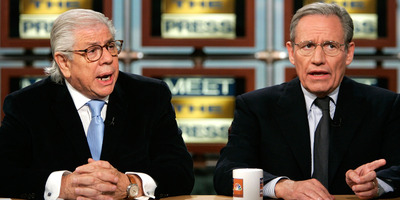 Bernstein, along with Bob Woodward, led much of The Washington Post’s investigative reporting on the Watergate scandal in the 1970s, which resulted in numerous government investigations and the eventual resignation of President Richard Nixon. Bernstein now regularly contributes to CNN as a political commentator.